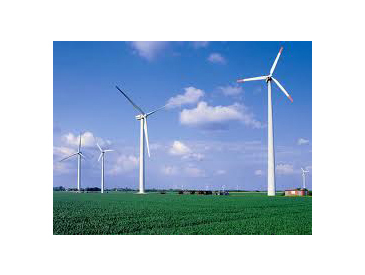 Wind power turbines (windmills) have become a popular renewable energy source used to generate electricity. The modern windmill is equipped with large airfoil shaped propeller-like blades that are constructed using lightweight high strength composite fiber materials. The high strength and lightweight features allow the blades to efficiently capture wind energy and convert it into electricity. Over time, the wind turbine blades can develop small cracks and holes on their surface and repairs must be made before catastrophic damage results. Heat and vacuum pressure is required to repair composite blades. Removing these blades from a wind power turbine can be extremely time consuming and costly, therefore the ability to make repairs in the field is important. 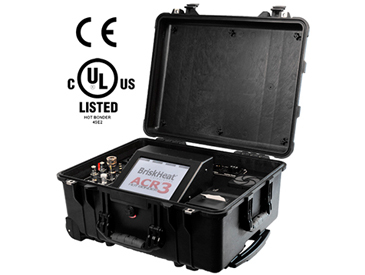 Use BriskHeat’s transportable ACR® 3 Hot Bonder or ACR MiniPro Hot Bonder system. The hot bonder systems include the hot bonder, silicone rubber composite curing heating blankets, a power booster box, and vacuum bagging material used together to create a portable repair station. ACR hot bonders are a portable composite curing/debulking tool that is capable of creating its own vacuum pressure and regulating heat using programmable ramp/soak cycles. It records cure data that can be downloaded via a built-in USB port and retained for quality assurance records. The ACR hot bonders electronics are enclosed within a virtually indestructible, impact resistant, waterproof, Pelican® case for easy transport and worry-free protection. 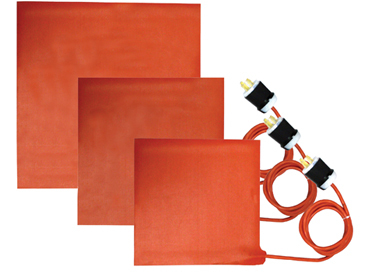 Silicone composite curing heating blankets provide fast, uniform, and consistent heat in an extremely durable and flexible design. The extreme flexibility ensures ultimate surface contact across the entire repair surface. 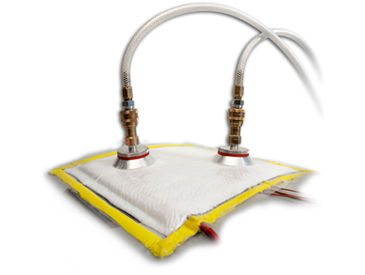 BriskHeat also offers vacuum bag, breather cloth, release film, and sealant tape materials used to create a field ready vacuum chamber for the repair. Often a power booster box is necessary to increases voltage and amperage of up to 480VAC 3-phase and 100 amps. The increased voltage and amperage is required for large curing applications where power cord assemblies must be long enough to reach the required height of a blade assembled on a wind power turbine. The ACR® advanced composite repair system is used to cure any composite fiber materials application that requires pressure and/or heat to cure. Ordinary and Hazardous area rated models are available.